Arrives Fully Assembled Fine furniture does not require assembly. Our furniture is crafted using the skills of artisans in the local Ohio community and occasionally abroad. These small shops, family owned and operated, are aided with modern innovative manufacturing technology. This makes a wide array of product available, yet still yields a “handmade” touch that the discerning customer has come to love and expect. All of our lift mechanisms are installed by our craftsmen at our manufacturing facility. 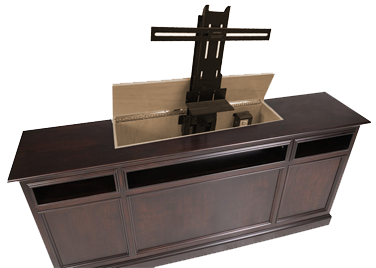 From our craftsman's workbench to your living room, your television cabinet is in good hands. 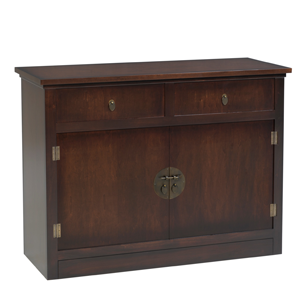 All of our furniture includes FREE SHIPPING (lower 48 states) and room of choice placement. All deliveries are scheduled for your convenience.